At my house, we love llamas. There's a good chance that this is mostly due to The Emperor's New Groove, but they're also just kind of fun. 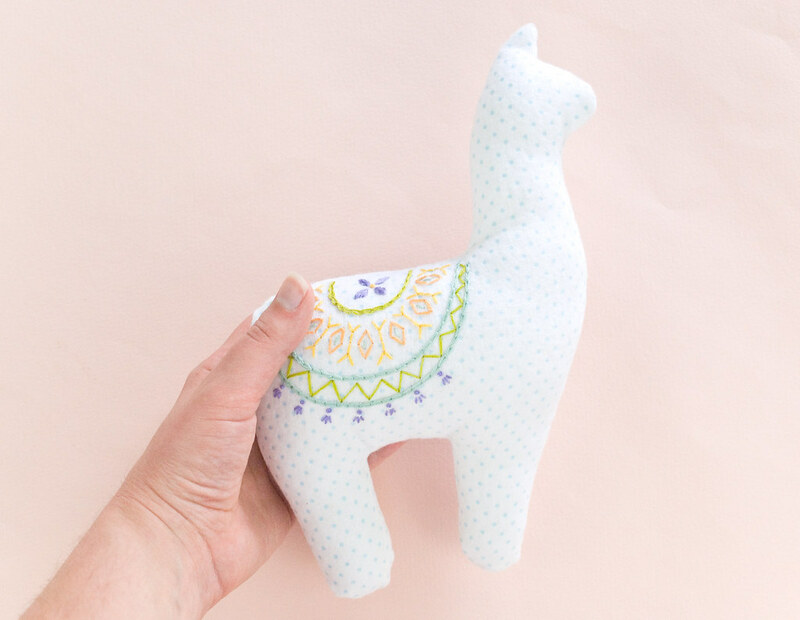 Alpacas don't have the same kind of comedic charm, but they are cuddlier, which is why I thought that an alpaca softie would make a great plush. 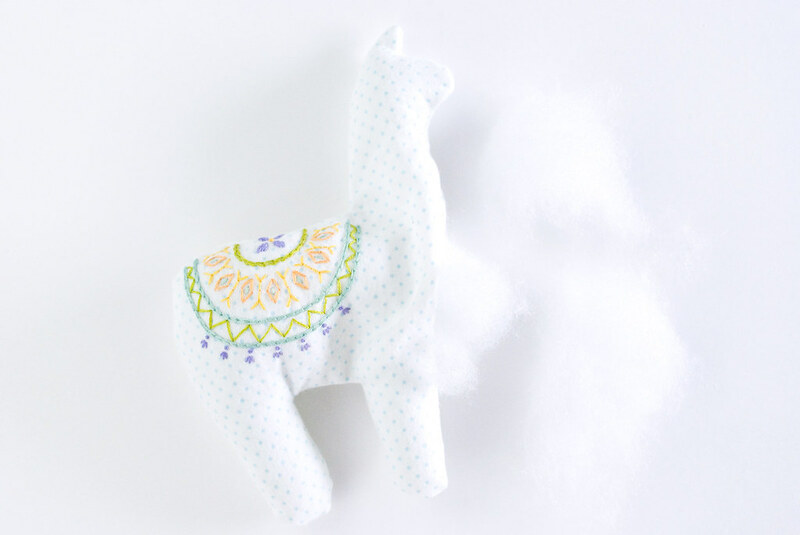 So today I'm sharing how to make a mini embroidered alpaca softie! 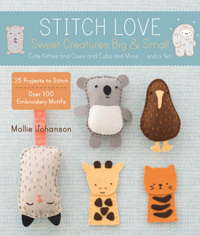 This is part of a month-long series called Sew a Softie. 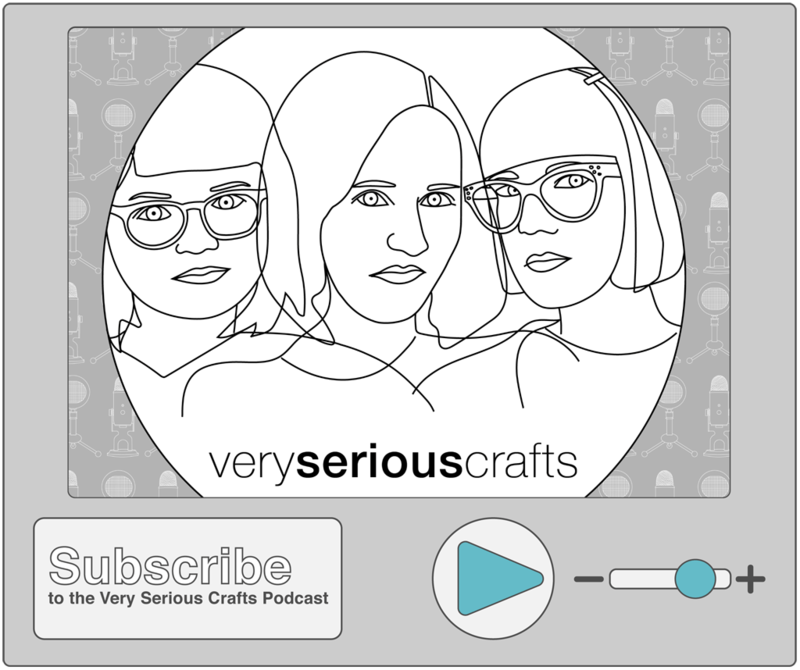 This isn't the first series like it, but if you haven't heard of it before, Sew a Softie is basically an initiative to encourage kids and adults to sew fun things together. 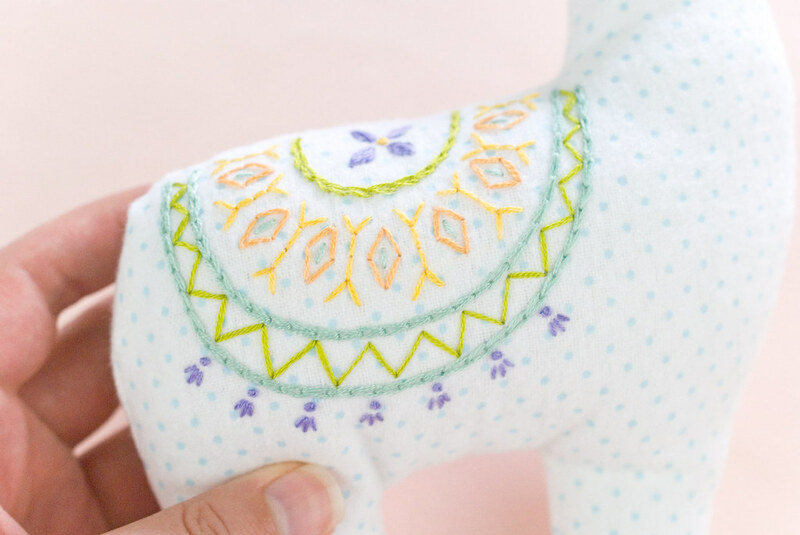 Visit their site to find a whole month's worth of softie tutorials for July! 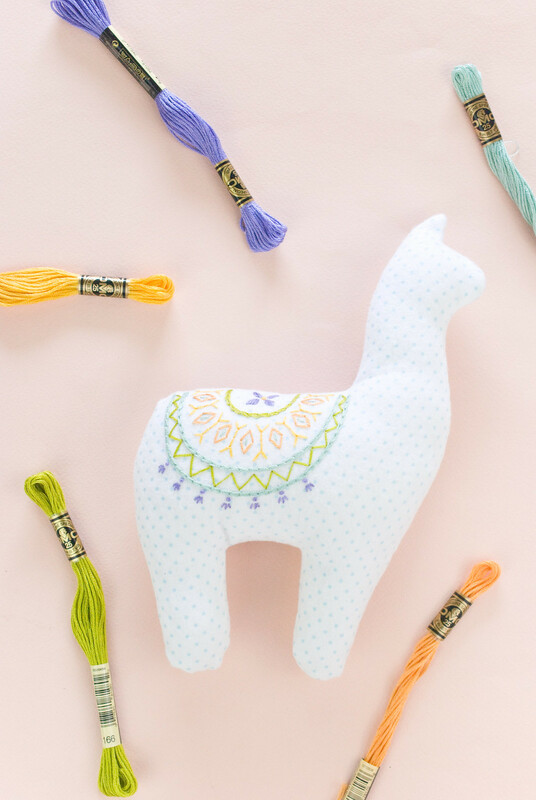 This alpaca requires some knowledge of embroidery, but you only need to know the basics. Of course, you could use fabric paint to add the decorative blanket instead. 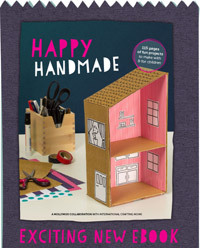 And while I'm showing this made on a sewing machine, you can do all of the sewing by hand if you'd rather. Ready? 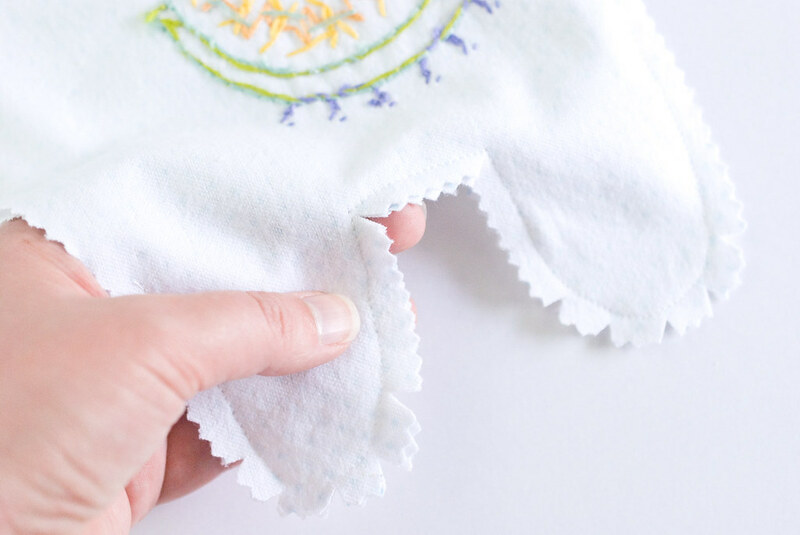 Print out the pattern page and print or trace the blanket pattern on Sulky Sticky Fabri-Solvy. To do this, I used this method for saving scraps of Sulky. Place the flannel in an embroidery hoop and stick the embroidery pattern down onto the fabric (or trace it with a water-soluble pen). Be sure you position the pattern so that you have room for the template outline in the correct place. 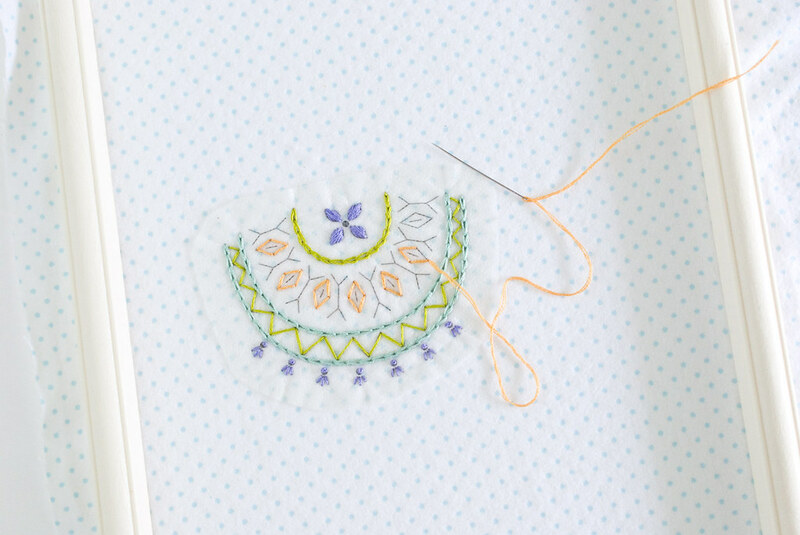 Embroider the pattern with three strands of embroidery floss. 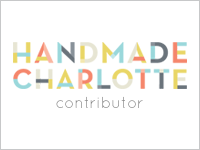 You can use whatever stitches you like, but I used chain stitch, back stitch, french knots, and satin stitch. Soak the Sulky off and then let the flannel dry. 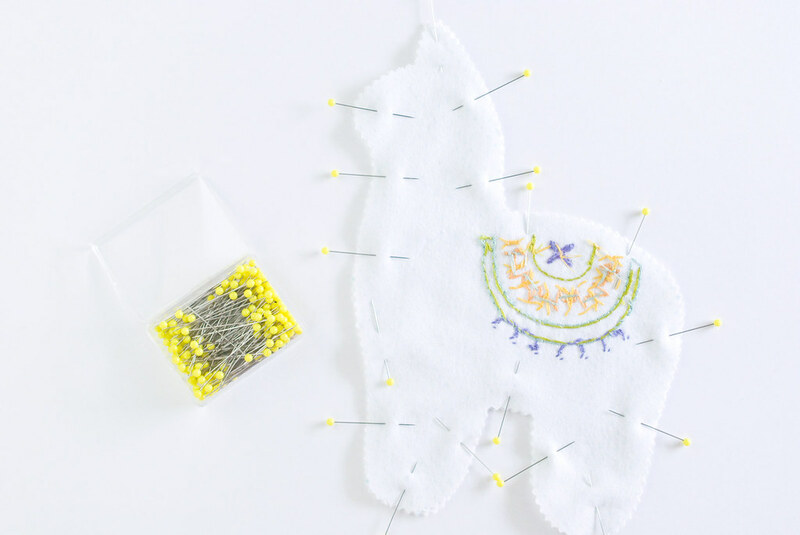 Cut out the pattern template and pin it over the embroidery so that the markings on the pattern match up with the stitching. Flannel like this frays pretty easily, so it's best to cut out the pieces with pinking shears. 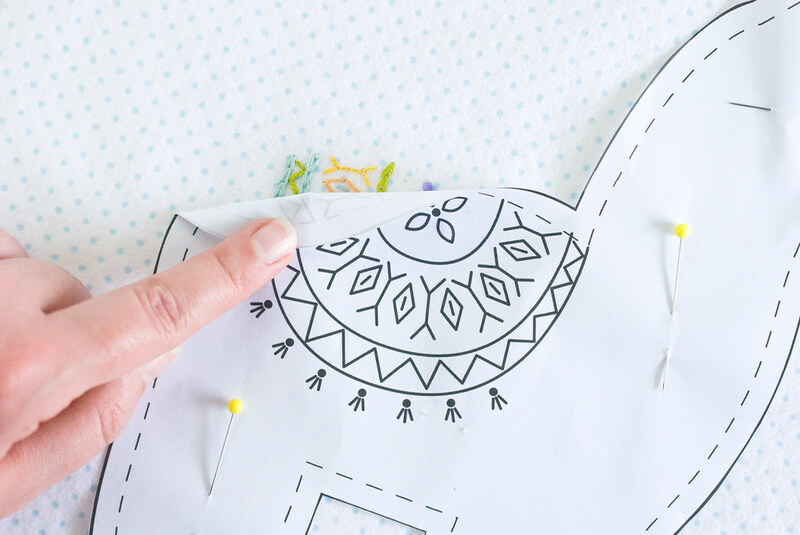 Cut around the embroidered front, then flip the pattern piece over and cut out the back. Place the front and back pieces right sides together and pin around the edge. NOTE: a simpler way to sew this is to place the pieces wrong sides together, which will give you a softie with raw edges. 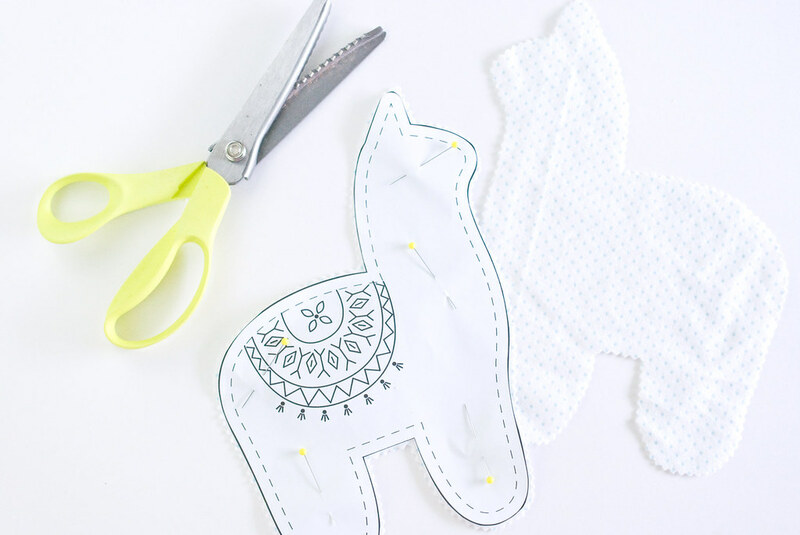 Sew around the alpaca with a 1/4in seam allowance. 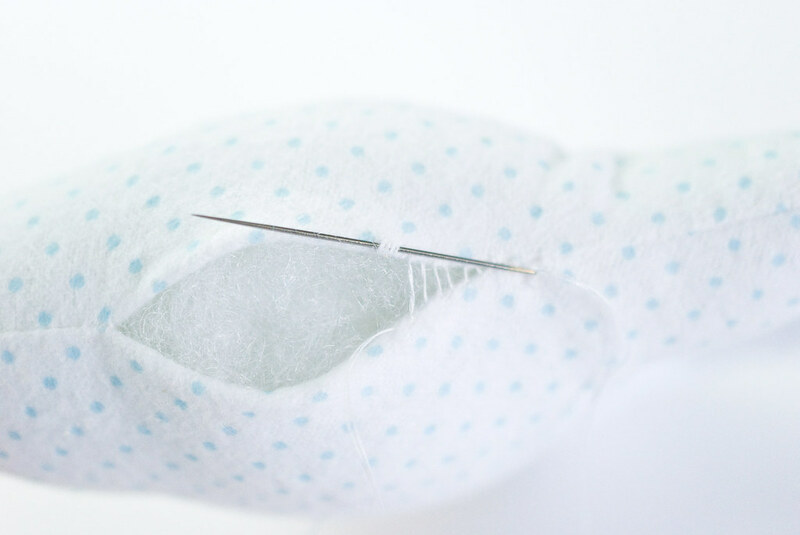 Leave a 2in opening for turning, and back stitch at the start and end of the sewing. Clip the curves, trim the top of the ear, and snip the angles at the ear, base of the neck, and the top of the legs. 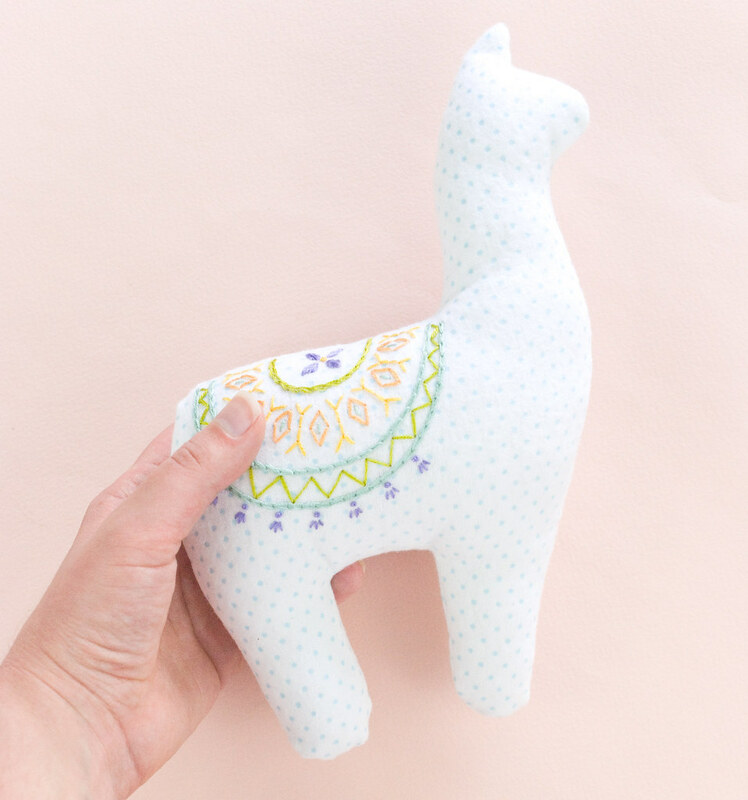 Turn the alpaca right side out. Fill it with stuffing, adding it in bits so it doesn't become lumpy. Fill in the head/neck and legs first, then fill the body. It should be soft, but full. Your softie is all finished and ready for a snuggle! 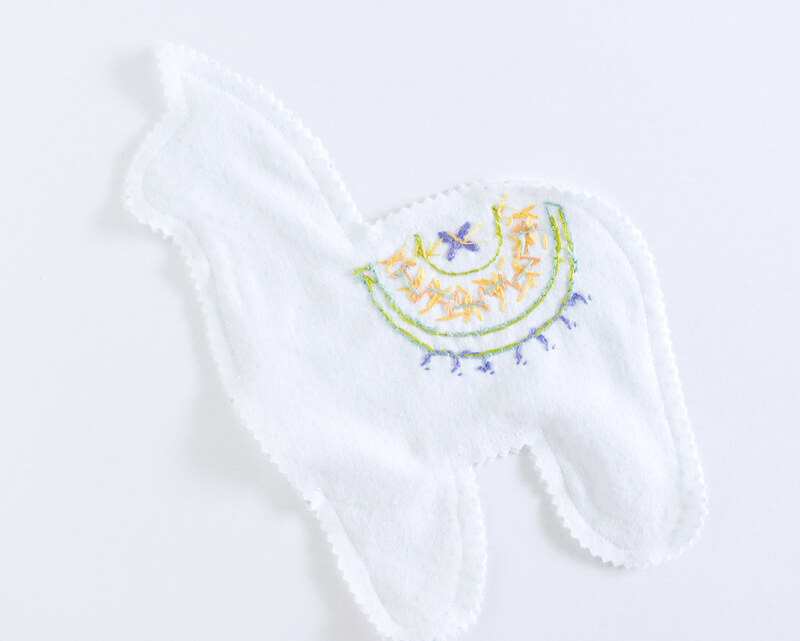 A soft and cuddly alpaca like this would make a great gift for a baby. Especially if you add a rattle insert inside. I thoroughly enjoyed working the embroidery on this and it went pretty fast. It's actually a little different for me to make a thing that doesn't have a face. Even more so when it's an animal that usually does have a face! But the embroidered blanket wanted to be the star of the show. Beautiful project and choice of colours. Thank you! 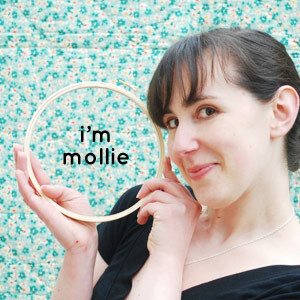 This is the perfect gift for the owner of my favorite yarn shop - Quillin Fiber Arts! Thank you for sharing! Adorable! 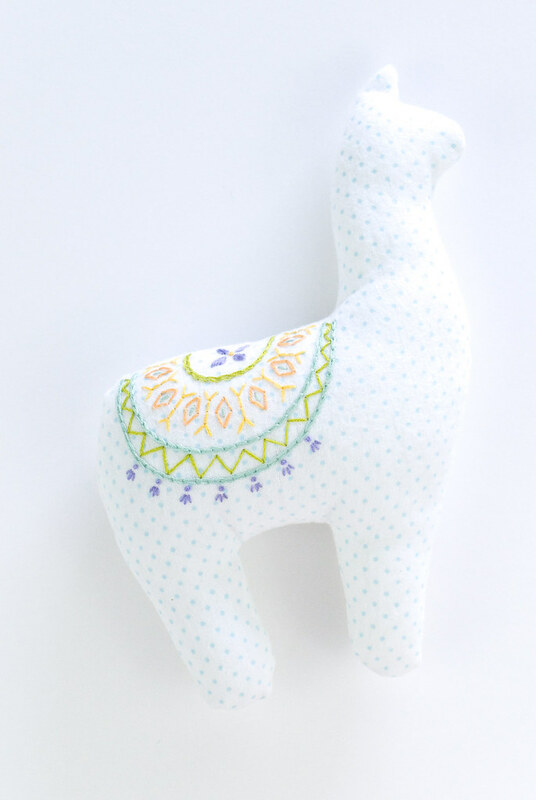 The embroidery pattern would look good on a softie dala horse. My sister actually asked if this was a dala! Jut to let you know I reduced the pattern down to 1" scale and made one for my dollhouse using fray check for stop the raveling. I used silk sewing thread for the embroidery. Now all m miniature club members want me to make them one. They are going to have to do some heavy talking! Oh my gosh, that sounds adorable! I want to see! Any chance you could share a link to a photo?